Mr Oktoberfest Man complete costume including Lederhosen with attached braces, shirt, socks and hat. Our Mr. Oktoberfest Man Costume features a brown lederhosen with embroidery-printed braces, this Oktoberfest Man costume also comes with a white shirt with lace-up detail at the collar. 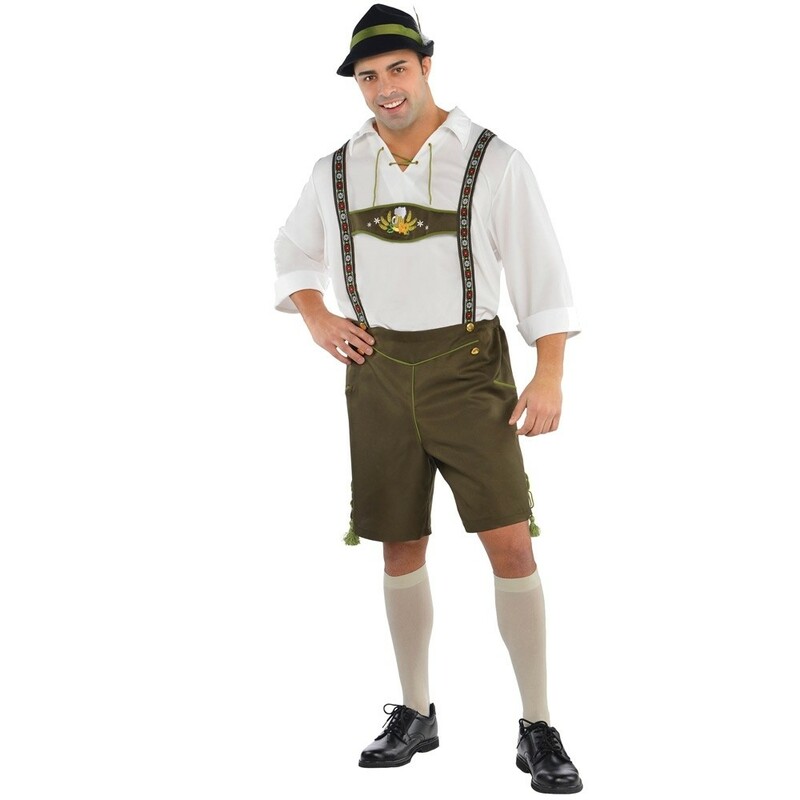 Included in the costume is also a pair of white knee socks and a Bavarian felt hat with a feather accent to complete the Bavarian transformation. Available in sizes Standard and Plus Size. To fit up to approximately 42" chest and 52" chest.